Seek To Know The Truth: Question: Some Seventh day Adventist friends have what they call “The Clear Word Bible.” Something doesn’t sound quite right, and it looks like verses have been changed to support their teachings. 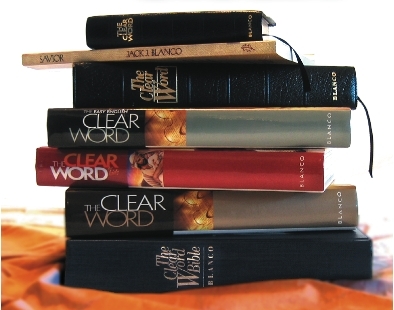 Response: We would agree with your concerns about the Clear Word Bible. One doesn’t have to go through much of this version to determine that words have been added or meanings changed in order to “more clearly” support their particular teachings. For example, Deuteronomy:5:3 in the KJV reads, “The Lord made not this covenant with our fathers, but with us, even us, who are all of us here alive this day.” In this passage, Moses is stating that the Sabbath Day was given by God to a named people (the Jews) as part of the Mosaic Law. This verse reads the same in all alternate translations that we consulted (NIV, NASB, ESV, NLT, etc.). The same verse from the SDA paraphrase (the Clear Word Bible) reads, “It wasn’t only with our ancestors that He made a covenant, but with us and with all who are alive today.” It is clear to see that the meaning of the passage has been changed. There is a reason. Many SDAs believe that those who came before—Abraham, Isaac, Jacob, and the patriarchs—all kept the Sabbath. So, Jack Blanco, who produced the Clear Word Bible, changed “not with our fathers” [did He make a covenant] to “It wasn’t only with our ancestors that He made a covenant....” This is clearly wresting the Word of God. Consider Exodus:5:5: “And Pharaoh said, Behold, the people of the land now are many, and ye make them rest from their burdens” (KJV). The Clear Word Bible: “You’ve created enough problems by making them rest every week on your Sabbath….” Pharaoh is made to be complaining about the Jews keeping the Sabbath prior to the Law! In truth, this passage says nothing about keeping the Sabbath, and this twisting of Scriptures removes the meaning from this passage of Holy Scripture. From the context, it is clear that Pharaoh is the one adding to the burden of the Jews. SDAs have historically gone through a “purging” process every few decades or so. 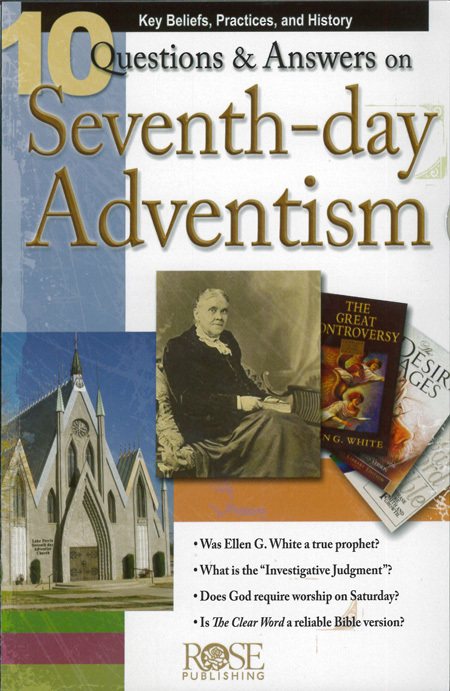 The last major one was in the 1980s, when many theologians, pastors, and members left when Ellen G. White’s plagiarism was highlighted and the governing body nonetheless issued the directive to recognize the “spirit of prophecy” (i.e., Ellen G. White’s status as a prophet) and submit. The irony of this is that many SDA doctrines, such as the Investigative Judgment, do not take the Scriptures as they are read. With the “Clear Word” Bible, there has been some “wresting” that slants the verses in this paraphrase towards particular doctrines of SDAs. ‹ Question: My father abused my siblings and me...for years....How do I honor this man...who has shown no evidence of repentance at all...and when I am no longer his child, by his own vow? How do I address him as “father” or “dad” ever again?